North Carolina Heart Attack Lawyer - The Hart Law Firm, P.A. Unless or until you have had what you thought was a heart attack in a public place, you probably don’t understand what a heart attack lawyer does or why anyone would need one. But if you or someone you love has had a heart attack in a public venue, then you have probably experienced the fear and anxiety that comes with trying to figure out what to do to save their life (or your own life). What are Common Heart Attack Symptoms? What to Do if You Have a Heart Attack in a Public Place? What are Automated External Defibrillators? Where Should AEDs be Located? Why Would You Need a Heart Attack Lawyer? A heart attack occurs when one or more arteries are blocked, preventing blood from traveling to the muscles of the heart. Most heart attacks start slowly, with just a minor bit of pain or discomfort, while others can come on suddenly with little warning. If you experience any of the following symptoms, you should call 9-1-1 immediately. Chest Pain or Discomfort. This is the most common symptom of a heart attack. This pain will last more than a few minutes and can come and go. Lightheadedness or Nausea. You may feel that you need to sit down, have an upset stomach, or just feel nauseous. You may also experience cold sweats. Upper Body Pains. You may have pain in other areas of your upper body, including your jaw, neck, or back. Arm and Shoulder Pain. You may experience pain or discomfort in your shoulders or arms. If you experience any of the symptoms listed above, you should call 9-1-1 and seek immediate medical attention. Sudden cardiac arrest, or SCA, is not the same thing as a heart attack. Sudden cardiac arrest occurs when the heart’s electrical circuitry malfunctions, causing an irregular heartbeat, or for the heartbeat to stop altogether. For obvious reasons, time is of the essence if someone goes into sudden cardiac arrest. What makes sudden cardiac arrest so dangerous is that unlike a heart attack, there are no warning signs or symptoms. You don’t have to have heart disease to go into sudden cardiac arrest. Frequently, the only thing that can save someone who goes into sudden cardiac arrest is for them to be administered cardiopulmonary resuscitation (CPR) or if an automated external defibrillator device (AED) is used properly on them. All too frequently, AED’s are not available, or there is nobody trained to use them properly. In North Carolina, AED devices must be maintained in all state-owned or state-leased buildings, as well as in all dental offices that offer sedation dentistry. If you are in public and feel like you may be having a heart attack or are experiencing sudden cardiac arrest, time is of the essence. It is imperative that every North Carolina resident understand what to do if they or someone they love is having a cardiac event. Call for Medical Attention. The first thing you should do is call for help and dial 9-1-1. If you are alone in a large crowd, you should grab or point to one person specifically and ask them for help. Studies show that identifying one person to ask them for help is more effective that yelling out to a crowd. Look for an AED. If you are in a state owned or leased property, then an AED should be present. This includes courthouses, schools, post offices, sporting venues, airports, etc. Although private businesses are not required to have an AED, some will. Ask an employee if they have one. If they do, they are frequently marked by a clear and brightly colored sign. Remove the AED from the wall mounting. This should sound an alarm that will alert the staff that someone trained in CPR is needed. Find someone who is trained in CPR. Look for someone, either a staff member or member of the public, who is trained in CPR. Typically you should perform CPR before using the AED to make sure the airway is clear and that the heart has stopped beating. If you or someone you love has had a heart attack or suffered cardiac arrest in a public place and there was no AED present, then you may be entitled to compensation for your injuries. Automated External Defibrillators or AEDs, are a device that is used to “shock” a heart that has stopped beating. These are portable devices that are battery powered. If they are present at the public place, they are typically located near a fire alarm or in some other prominent location where they can be easily seen. It is undisputed that having an AED on hand can increase survival rates for victims of cardiac arrest. In a study cited by the American Heart Association, communities that have implemented comprehensive AED programs, including CPR and AED training, have “achieved survival rates of nearly 40% for cardiac arrest victims”. In other words, if more AEDs are placed in public places, more lives will be saved. In North Carolina and many other states, there are laws that govern the use and location of AED devices. I’m sorry to say that our legislature in North Carolina has done little to address this issue, and has mandated only that AEDs be placed in dentist offices that offer sedation dentistry. While they must also be placed in state owned or state leased properties, this requirement is “subject to the receipt of public-private funds for this purpose.” In other words, if they can’t afford to pay for the AEDs, then they don’t have to put them in state buildings. Most people think of state buildings as government offices and other buildings that the general public doesn’t frequently visit. But this is not the case. You probably visit some sort of state owned or leased building on almost a daily basis. AEDs are an incredibly powerful tool that can be used for good and to save lives. However, just as with any piece of mechanical equipment, they can malfunction or be used improperly, or not be used at all when they should be. If you or someone you love was treated with a malfunctioning AED, it could lead to other medical problems and conditions that could have been prevented, and that will require the assistance of a heart attack lawyer to deal with. 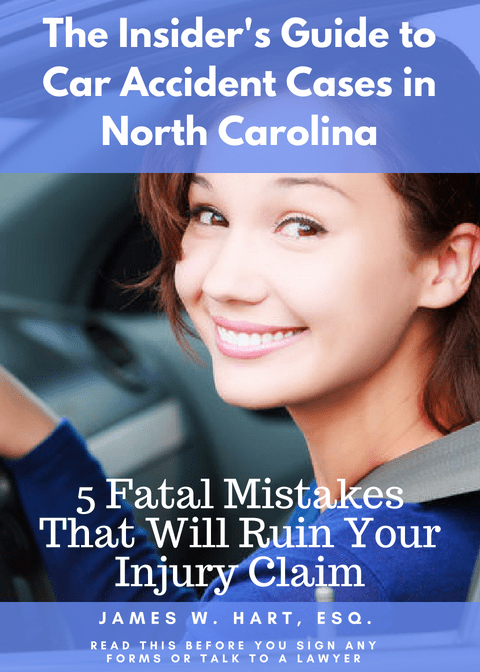 Just as with any claim for negligence or products liability, establishing that someone else is to blame for your injuries can be a highly sophisticated and fact intensive process that will require the help of a heart attack lawyer. At The Hart Law Firm, we can work with you to recover financial damages for wrongful death, pain and suffering, loss of earning capacity, emotional trauma, and more. If you are interested in talking to us about your legal options, please feel free to call us at (919) 887-8582, or submit your confidential online question by clicking here.